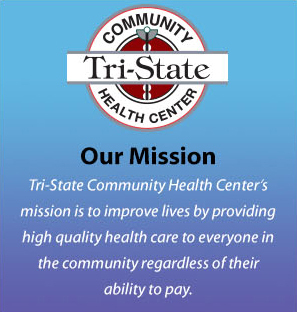 Tri-State Community Health Center is also committed to providing compliant healthcare for all their patients on limited incomes whom are in need of medications. In order to aid in this process we have a full time MAP Coordinator whose services again are free of charge. The MAP Coordinator is able to help patients qualify for pharmaceutical assistance programs. These programs ultimately provide our qualifying patients with no cost medications. Last year alone we were able to provide over $689,000 in free medications to our patients. These medications can range from hypertension medications to life sustaining medications such as Plavix. Tri-State Community Health Center is dedicated to providing medication services to our patients in order to maintain compliance. We as a company are diligently working on acquiring additional programs to aid in this process.